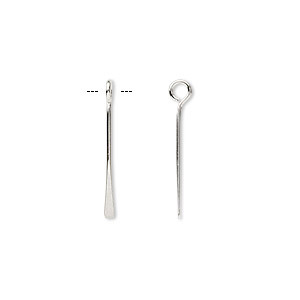 Drop, sterling silver, 1/3 to 3/4 inch graduated paddle pin. Sold per 14-piece set. Item Number: H20-8681FN Have a question about this item? Quality-made sterling silver drops. Versatile for earrings and necklaces. 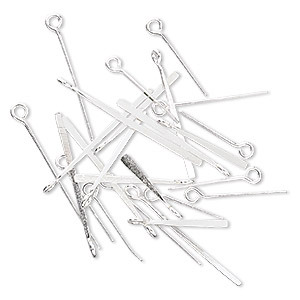 Paddle pins are packaged as loose dangles. Image shows dangles strung for illustrative use only. 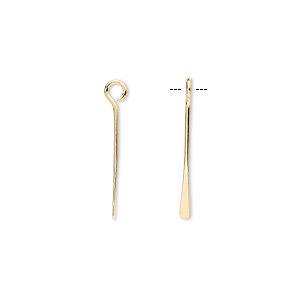 Drop, sterling silver, 2/5 to 1-inch graduated paddle pin. Sold per 18-piece set. 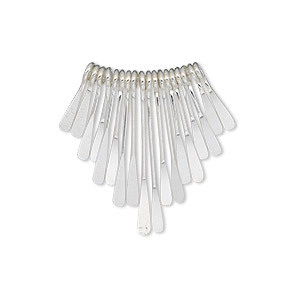 Drop, sterling silver, 1/2 to 1-3/16 inch graduated paddle pin. 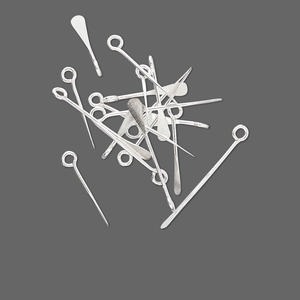 Sold per 26-piece set. 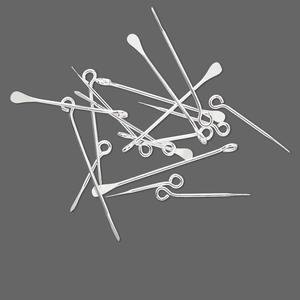 Drop, sterling silver, 3/4 to 1-1/4 inch graduated paddle pin. Sold per 18-piece set. 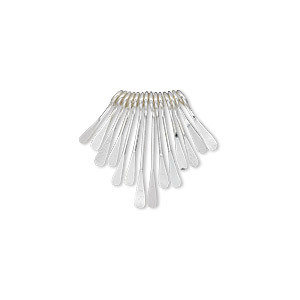 Drop, sterling silver, 7/16 to 7/8 inch graduated paddle pin. Sold per 18-piece set. Drop, gold-plated brass, 16x1.5mm paddle. Sold per pkg of 100.